There is much more to learn about business communication, but if you follow this simple advice it will be the first step to ensure that your business communication enables you to positively influence decisions by being clearly understood. Good luck with all that! 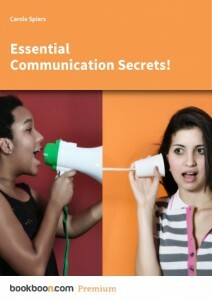 If you want to further study the secrets of business communication, read “Essential Communication Secrets” by Carole Spiers Group. This article was posted in Articles and tagged Business, communication, Project management. Bookmark the permalink. Follow comments with the RSS feed for this post.Post a Comment or leave a trackback: Trackback URL.